Teresa Jose Ochoa was born in Caracas, Venezuela on May 21st, 1952. She has two children Michael 37 and Laura 35. She studied Graphic Design and Illustration at the Industrial Design Institute in Caracas. At the young age, she began to display her artwork in several locations in Caracas including the Venezuelan American Institute and the telephone company CANTV. 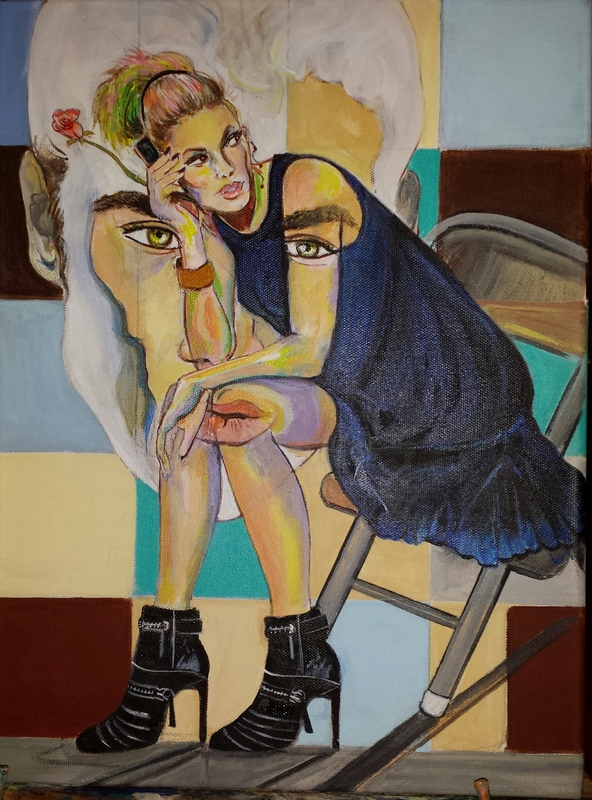 After arriving in the US she continued to paint, learning new techniques and media, and exploring new ideas to develop her unique style of painting. Her work earned 5 awards in oils and acrylics. She has displayed her artwork in different art galleries in North California. May 11, 2002, she got the first award at the Lynn Gallery in Antioch, California, with her mixed media "Red Wood Train". Also, she was voted the most popular artist at the Art Wine and Jazz festival in Brentwood and got 2 awards with her acrylic "Old Streets" with already tri di effects. One painting tri di was featured in the magazine 110 "Touring Burano".